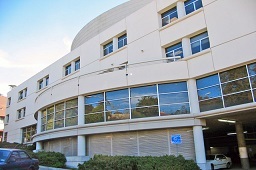 The Robbins Collection is located in the North Addition of Boalt Hall. The Robbins Collection Reading Room is open Monday through Friday from 9:00 am to 5:00 pm throughout the year with the exception of campus holidays, when the Reading Room is closed. The Robbins Collection holds over 340,000 titles distributed into several categories: civil law, religious law encompassing the canon law of the Roman and Greek churches and the Church of England, Jewish and Islamic law and secular law. Also among these titles are extensive collections in comparative law, jurisprudence, and legal history in general with an emphasis on continental Europe. Included are over 275 manuscripts, the majority of which are medieval, over 200 incunables, and another 2,300 titles which were printed before 1600. Holdings also include more than 100 single-folio manuscript legal documents from France, England, and the Papal Court, and 544 Catalan consilia printed between 1620 and 1756.